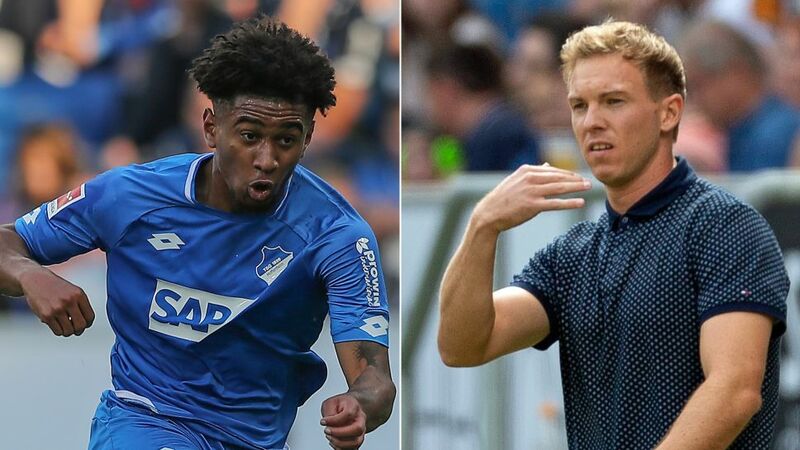 Arsenal-owned English youngster Reiss Nelson says Julian Nagelsmann is the main reason he joined Hoffenheim on a season-long loan. Nelson, 18, signed a long-term contract with parent club Arsenal, before making the temporary switch to play under the Bundesliga's youngest head coach during the summer transfer window. "A loan wasn't always my first option, but when I heard the Bundesliga and Hoffenheim was an option for me and working with the manager there, it was something I wanted to do," Nelson told The FA website. "Julian's a great manager and he's got belief in young players so it's a good place for me to go and play. He's very young, he's only 31 and I think it's important to go to a team and a coach who believes in you, so he was the main reason, because he is willing to play us." Nelson is currently on international duty with the England U21s. He netted another debut goal as the Three Lions booked their place at next summer's UEFA Euro U21 championships, courtesy of a 7-0 rout of Andorra. Nelson, who will return to Arsenal at the end of the 2018/19 campaign, could get his next slice of Bundesliga action against promoted Nuremberg on 20 October.